Feb. 18, 2019—Thousands of Americans die each year during a dangerous two-minute procedure to insert a breathing tube. Now a Vanderbilt University Medical Center (VUMC) study in the New England Journal of Medicine (NEJM) is showing that using bag-mask ventilation, squeezing air from a bag into the mouth for 60 seconds to help patients’ breathing, improves outcomes and could potentially save lives. Oct. 25, 2018—Patients with stage IV small-cell lung cancer lived longer when given the immunotherapy atezolizumab with chemotherapy, setting the stage for what could become the first new treatment approved in decades for this particularly aggressive form of lung cancer. Oct. 22, 2018—Critically ill patients are not benefiting from antipsychotic medications that have been used to treat delirium in intensive care units (ICUs) for more than four decades, according to a study released today in the New England Journal of Medicine. Mar. 1, 2018—New research indicates the time window for a thrombectomy following a stroke is longer than previously thought, but how soon the surgery occurs still matters. Feb. 15, 2018—A new clinical trial by investigators at Vanderbilt University Medical Center (VUMC) and other leading medical centers found that an intensive transplant treatment using the patient’s own stem cells can improve survival and quality of life for patients with advanced scleroderma.  Sep. 21, 2017—An effort at Vanderbilt University Medical Center (VUMC) to enhance clinical decision making through cross-departmental collaboration and effective use of diagnostics has improved patient care and saved the institution more than $1 million in 2016, VUMC officials reported this week. May. 26, 2017—This week Douglas Heimburger, M.D., M.S., professor of Medicine at Vanderbilt, joined a growing chorus calling for preservation of the Fogarty International Center of the National Institutes of Health (NIH).